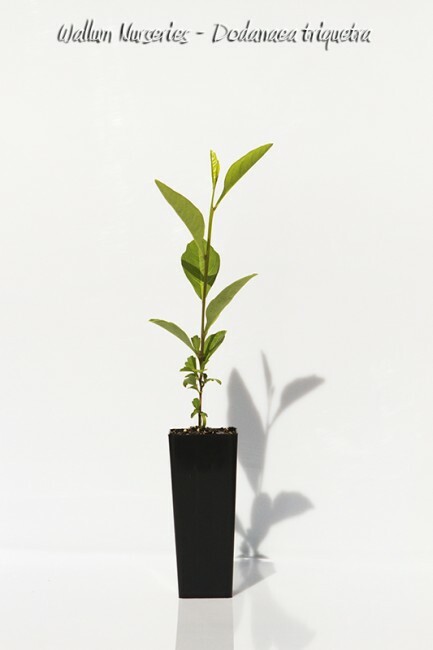 Description: Erect shrub to 3 m high in dry or wet sclerophyll forest usually on sand, or similarly well drained soil. Leaves hairless, simple, elliptic, sometimes lanceolate or ovate, to 12 cm long, apex acuminate to acute, base narrow cuneate to attenuate, margins entire or sinuate, petiole 2-7 mm long. Flowers in terminal panicles; pedicels mostly 5-10 mm long. Sepals 4 rarely 5, 0.6-1 mm long, broad triangular not persistent. Stamens 8, rarely 10. Ovary glabrous.